Even though left-handers are about 10% of the population, it seems that they are still finding it difficult to claim their own space. It is quite evident when you consider the number of gadgets and cooking tools designed specifically for right-handers. Interestingly, there are many little-known facts about left-handers that make them even more special. Let's find out more about it. What Causes Someone to Be Left-Handed? There are several theories, but scientists have failed to pinpoint the exact cause of being a left-hander. Most experts are of the view that it is a combination of genes and environment. It means that people who are left-handed may already have some other left-handed family members. Interestingly, scientists have also found a different set of personality traits that most left-handed people usually have. It is natural to get a curious look from people who watch you use your left hand for everything. Is there anything special about being a leftie? Well, there certainly are things that separate left-handers from right-handed individuals. 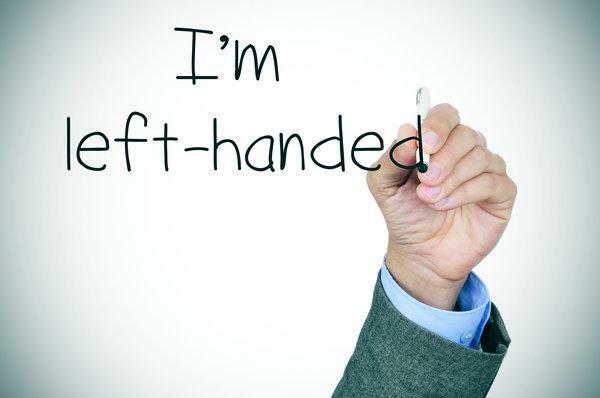 Researchers have found lefties are at a greater risk of certain mental disorders. In fact, it was found that 20% of people with psychosis were left-handed. The rate was also higher for mood disorders such as bipolar disorder or depression. Researchers have also found that the rate was the highest for people with schizoaffective disorder or schizophrenia. It is supposed that brain laterality has a role to play in these statistics. Your brain is divided into two halves – the left hemisphere and the right hemisphere. Both righties and lefties use the left hemisphere for language functioning and other similar tasks. Researchers have found that more than 30% of lefties do not have any dominant hemisphere at all. It increases their risk for brain disorders and learning impairments. Researchers have found that you can hear slow-changing sounds clearly when you are a left-handed individual. The right hemisphere controls the left hand and is responsible for catching slow-changing sounds, like intonation or syllables. It may not be one of many little-known facts about left-handers because lefties have been bragging about being better artists for years. The question is, "Is there any truth in it?" Researchers believe that there is some evidence that left-handers are likely to be more creative than their right-handed counterparts. Lefties are supposed to be better divergent thinking, which is why they can find multiple solutions to a single problem. Statistics also show that a large percentage of lefties is drawn to careers in music, arts, information technology, and sports fields. If you check the list of U.S presidents, you will be amazed to see that most of them were lefties. From the last seven commanders in chief, four were lefties, including President Bill Clinton, Obama, Gerald Ford, and George W. Bush. Past presidents Harry Truman and James Garfield were also lefties. Researchers have also found that left-handed politicians are likely to be more successful because they perform better in televised debates. While you can certainly be a good sportsman even when you are a right-hander, researchers believe that lefties are more likely to beat righties in sports. From tennis ace Rafael Nada to Golf legend Phil Mickelson and more, so many top sportsmen are lefties. In sports where two individuals have to compete against each other, left-handed individuals have the advantage. While brain wiring may have a role to play here, experts also believe that lefties are supposed to perform better because they get to practice against righties a lot. Righties, on the other hand, may not have enough opportunities to practice against lefties, which is why they find it difficult to perform against them during a match. One of many little known facts about left-handers is about the perception of fear. Researchers have found that lefties can get more affected by fear as compared to their right-handed counterparts. A study has found that lefties are more likely to show signs of post-traumatic stress disorder as compared to righties. Experts have found that lefties are more likely to behave erratically after experiencing a stressful or fearful event. It is mainly because the two hemispheres of the brain handle post-traumatic stress disorder differently. Researchers believe that lefties are not only short-tempered, but they are also more likely to hold the grudge against others. If you cannot seem to forgive your right-handed pal for something they did, your left-handedness may have a role to play here. The reason is that lefties are more likely to have negative emotions and find it difficult to overcome them. Once disturbed, they have a hard time processing their feelings. Of course, it is not true for all lefties, but researchers believe that left-handed individuals have a greater liking for alcohol. It is important to point out that many experts were of the view that lefties are at a greater risk of becoming alcoholics. Studies do not confirm it though. However, studies have found that left-handed individuals do drink more often.